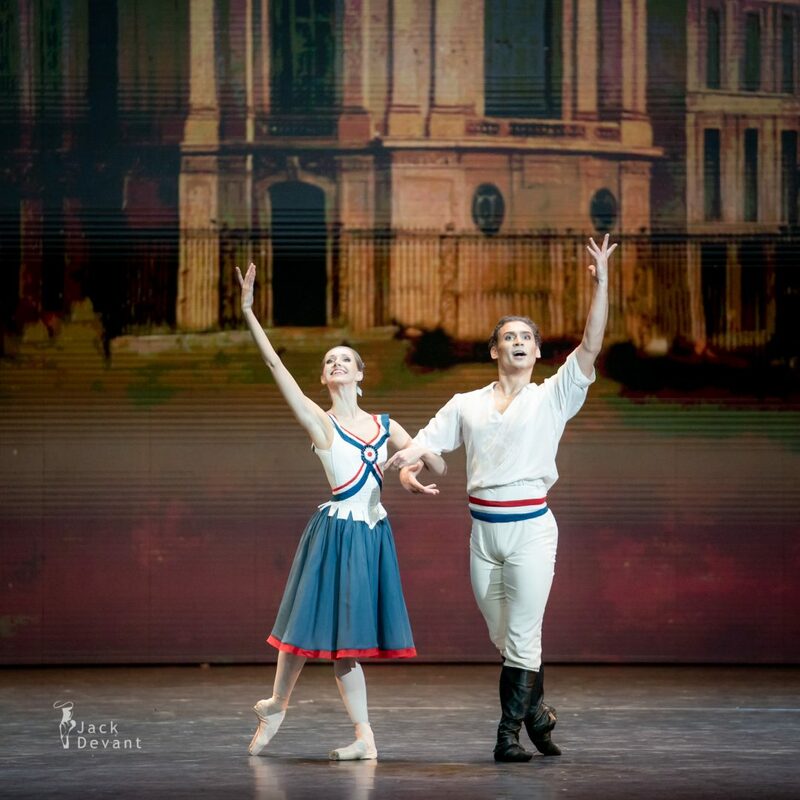 Margarita Shrainer (Маргарита Шрайнер) and Ivan Vasiliev (Rus. 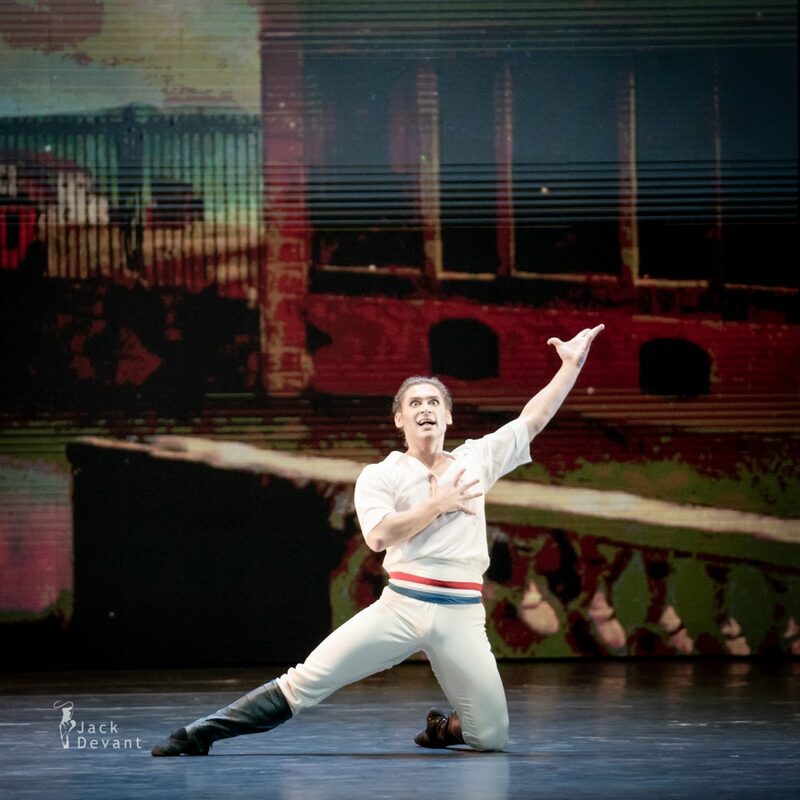 Иван Васильев) in The Flame of Paris, music by Boris Asafyev, choreography by Vasily Vainonen. Kremlin Gala 2018, shot in State Gremlin Palace on 7.10.2018. Margarita Shrainer (Rus. Маргарита Шрайнер) is a First Soloist with the Bolshoi Theatre ballet (Moscow). She was born in Moscow. In 2011, she graduated from the Moscow State Choreographic Academy (class of Irina Prokofieva) and joined the Ballet Company of the Bolshoi Theatre. She rehearsed under the guidance of Nadezhda Pavlova. Now her teacher-repetiteur is Marina Kondratieva. Ivan Vasiliev (Rus. Иван Васильев) is a Principal with with the Mikhailovsky Ballet Company. He was born in Vladivostok, Russia. He studied at the Dnepropetrovsk Ballet School in Ukraine and later at the Belorussian State Choreographic College in Minsk, graduating in 2006 (class of Alexander Kolyadenko). Vasiliev danced Basil in Don Quixote and Ali in Le Corsaire with the Belorus National Ballet while still a student at the College. In 2006, he was invited to join Bolshoi Ballet as a soloist, making his debut with the company, at the age of 17, as Basil in Don Quixote. He was promoted to the rank of principal dancer in May 2010. In December 2011, he joined the Mikhailovsky Ballet Company.